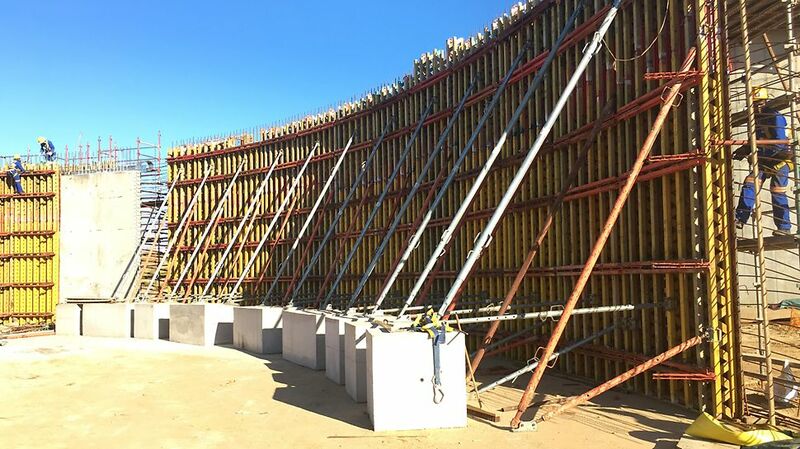 PERI formwork was selected for the construction of two 20 ML reservoirs for Umhlatuze Water. 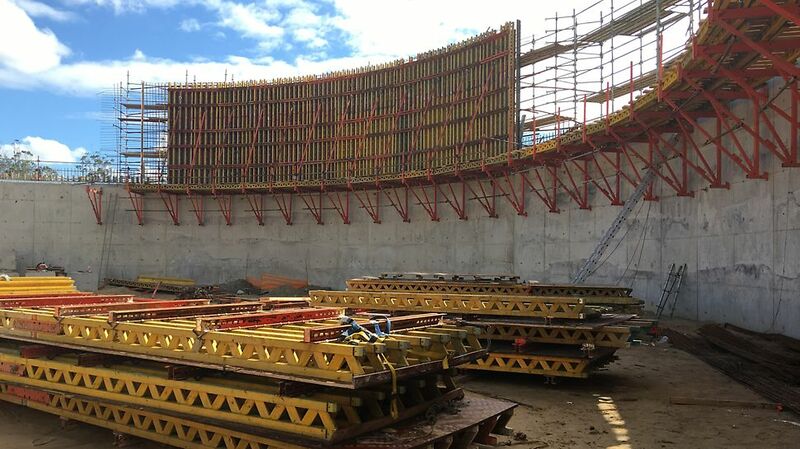 The wall height for the first phase was 12 m. The phase two reservoir was a 6 m height. Both reservoirs have dome shaped roofs. PERI Richards Bay have been outstanding and very accommodating. 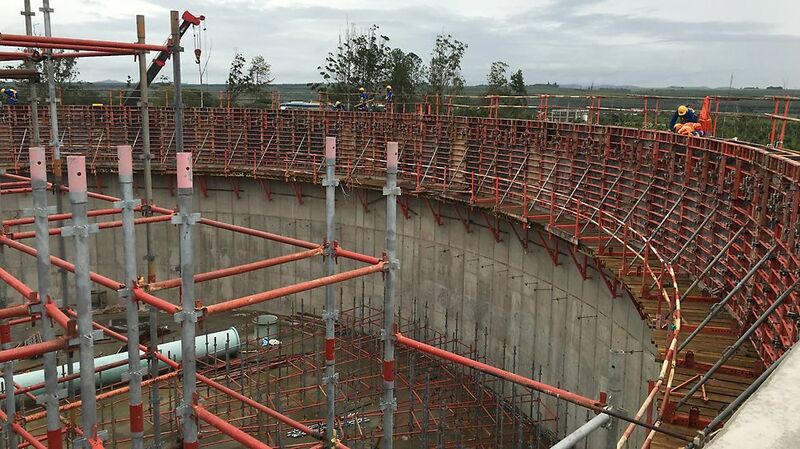 Ruan Pattinson and his team are highly recommended and we at Stefanutti Stocks have had a great and wonderful experience working with them on both the Nsezi Reservoirs. For the ﬁrst phase, PERI DOMINO was used with wedges to pour half the circumference to 6 m height. The shutters were then lifted 3 m at a time, using PERI CB 160 for the ﬁnal two pours. 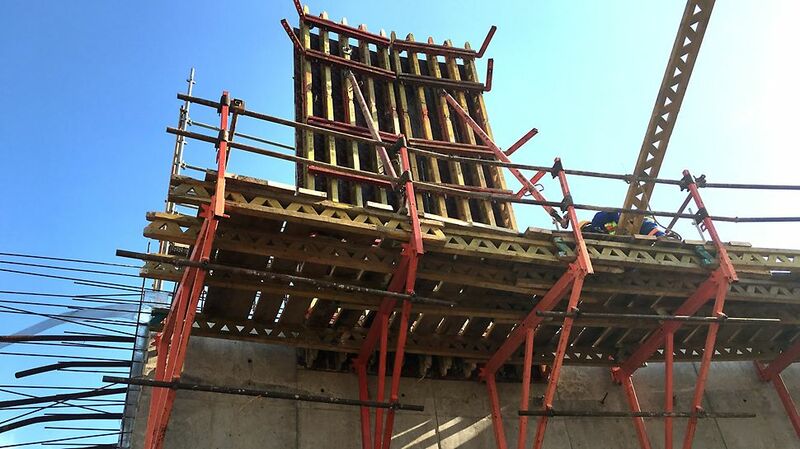 For phase two, there were three sets of VARIO shuttering on site, which were each used to pour 1/6th at a time to 6 m height. The second pours were also done to 6 metres, using PERI’s CB 240 climbing system. 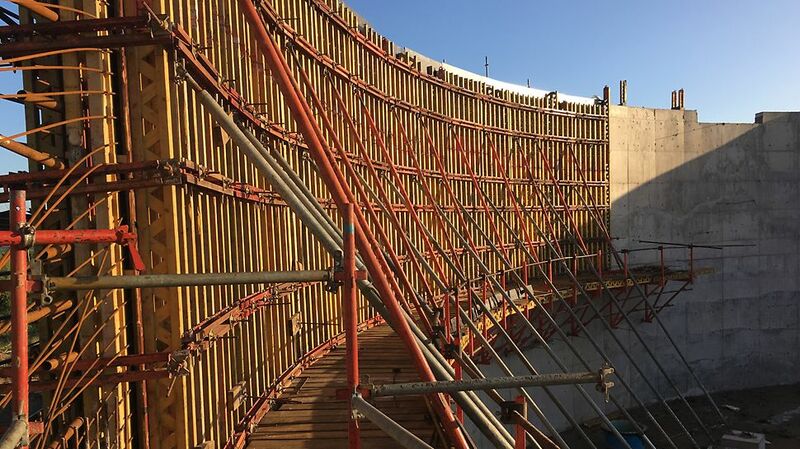 PERI Quickstage, radius channels and girders were utilised to support the reservoir roofs.